GRAVE HUNTER combines headstone photographs and interment details (e.g. name, date of birth, etc.) with the creation of an electronic map of a cemetery. Integration of both map and registers allows users to find the location of a specific grave within a cemetery. Electronic maps are easy to update and store. Maps and interment registers can be made publicly accessible (e.g. for genealogists or family historians) via the Internet. Hunter Geophysics does not restrict the mapping system, meaning that new graves can be mapped simply using only a measuring tape and a compass. Hunter Geophysics provides all the training and software required. All you need is a Windows-based computer. Recent Apple Macintosh computers are also supported if they are capable of virtualization (you’ll need a copy of VMWare and Microsoft Windows). Hunter Geophysics use Topcon and Leica robotic total stations and RTK GPS systems to map cemeteries. 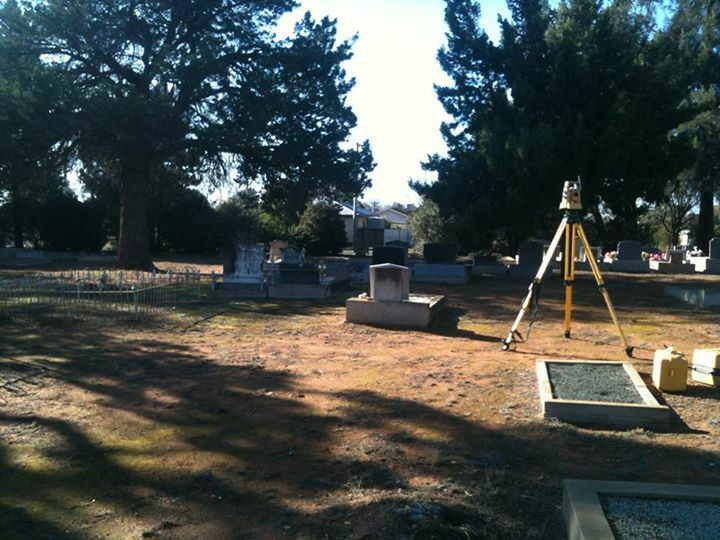 This photo shows a Topcon total station on a tripod in a cemetery in northern Victoria. A demonstration version of GRAVE HUNTER is available. First, you will need to download and install a demonstration copy of Global Mapper (a mapping program created by Global Mapper LLC). The demonstration version of Global Mapper does not allow the user to alter any maps; a full version of the software, which allows the user to edit and update maps, is provided when Hunter Geophysics creates a site map. Next, download the Hunter Geophysics example cemetery map and, finally, the Grave Hunter User Guide. Follow the instructions in the user guide to test GRAVE HUNTER. 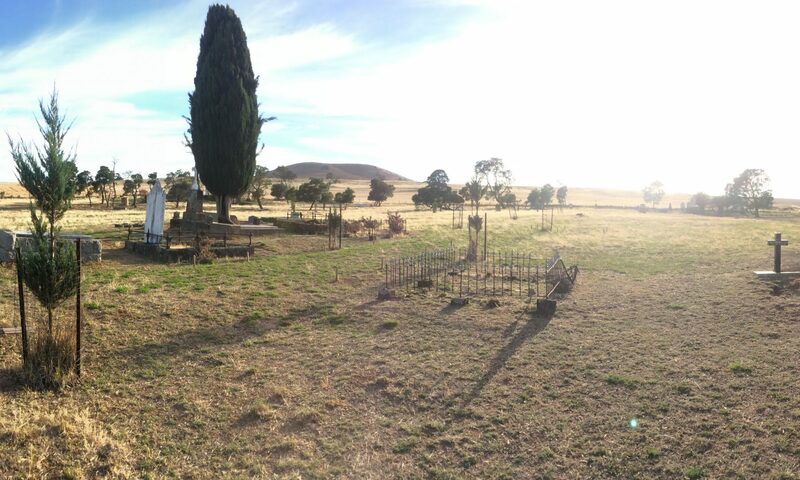 Photographs and interment details contained within this demonstration are of actual graves in the Creswick Cemetery, Victoria. Contact Hunter Geophysics directly for further details or for assistance with the demonstration.